It dominates the horizon in northern Colorado. It's been photographed by Ansel Adams, has been featured on the Colorado state quarter, and is the most-climbed fourteener in Colorado. At 14,259 feet Longs Peak is also the highest point in Rocky Mountain National Park, and is the only mountain in the park to exceed 14,000 feet. I once "attempted" to summit Longs Peak. I got about two hundred yards or so above The Keyhole and discovered that I really wasn't a mountaineer. I thought the sheer drop-offs from the trail along that narrow stretch were downright frightening. Although many people summit the mountain each summer, many others are satisfied just to reach The Keyhole. Although a very tough day hike, the views are quite spectacular along the way, as well as from The Keyhole itself. Moreover, hikers don't have to worry about falling off the mountain to get there! In the video below the editors of Backpacker Magazine take viewers on a vicarious climb to the top of Longs Peak. You be the judge - would you do this? This morning I finally had the opportunity to test the Stalwart Jacket, a new line of outdoor apparel from Dare 2B, an outdoor clothing company out of the United Kingdom. In addition to cycling, running and snow sports, the clothing company also focuses on apparel for hikers. And, just in time for the spring and summer season, Dare 2B has launched a new line of active wear which now includes its new Body Seamless technology, which is designed to reduce friction in critical areas during active sports, while ensuring that you'll have maximum comfort at all times and at all levels of activity. As part of this new line is the brand new Stalwart Jacket. 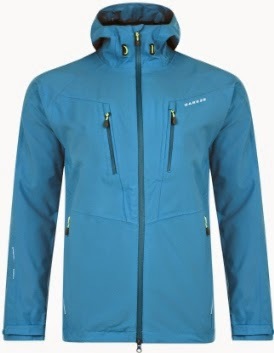 Dare 2B touts the jacket as "the ultimate fast and light defense from the elements". This 4-way stretch shell is waterproof, breathable and is super lightweight. The jacket features taped seams, has a full front zip and underarm zips for ventilation, an adjustable shockcord hem system, multiple pockets, adjustable cuffs, a shaped hood with a technical wired peak to keep the rain out, and has a roll away hood function. So after hanging in my closet for a couple of weeks, I finally had the opportunity to give the jacket a real live field test this morning. I was waiting for the opportunity to take a walk in the rain to see if the jacket lived up to its billing. Overall I was very pleased. During my somewhat brisk half-hour walk around the neighborhood in a steady rain, the jacket kept me completely dry. Moreover, at 65 degrees, I worried that I was going to overheat inside the jacket. To my surprise this didn't happen. In fact, I felt completely comfortable during the entire circuit. This surprised me because the jacket is thicker than a standard shell, and even has a light lining. Now, if I had to climb some substantial elevation in these same conditions, the result might be a little different. That, however, remains to be seen. I also thought that the wired peak feature on the hood was a plus, acting similarly to that of a baseball cap. My only real complaint with the Stalwart Jacket is with the design of the hood. When turning my head from side to side, the hood wouldn't move. To remedy this I had to pull the hood with my hand in order to see on either side of me. Americans will also have to get used to the zipper being switched to the opposite side. Maybe its because I'm left-handed, but it takes a little practice to get used to the English/European version. Potential customers should also note that the Stalwart Jacket is cut a little more slimmer than their American cousins. All in all I thought this was a great jacket, and look forward to using it in the mountains when the weather turns sour. Celebrate American Hiking Society's National Trails Day® in Shenandoah National Park on Saturday, June 6, 2015. In partnership with Shenandoah National Park, the Potomac Appalachian Trail Club (PATC) invites new hikers and experienced backpackers to learn new trail skills at PATC Trail Patrol's "Beyond the Trailhead" event at Byrd Visitor Center (milepost 51 on Skyline Drive) from 9:15 am to 3:30 pm. Come join guided hikes and hands-on demonstrations throughout the day. * Dark Hollow Falls Hike / Moderate / 2.0 miles / 9:30 a.m. and 1:30 p.m.
* Rose River-Dark Hollow Falls / Advanced / 4.0 miles / 10:00 a.m.
Pre-registration is encouraged but you may also register on June 6 at Byrd Visitor Center. To pre-register, send an email to TPNTD@patc.net by June 3. Please include your name and which hike you wish to join. PATC and Trail Patrol are charging no fees to attend or participate in any hike, workshop, or demonstration connected with the event;however, there is a $20-per-car entrance fee to the park (good for seven days). Byrd Visitor Center lies within the park at milepost 51 on Skyline Drive. For more information about the event, visit the PATC website at www.patc.net or contact Trail Patrol at TPNTD@patc.net. For more information on the park, visit the park's website at www.nps.gov/shen. To see a list of scheduled ranger programs, please click here. 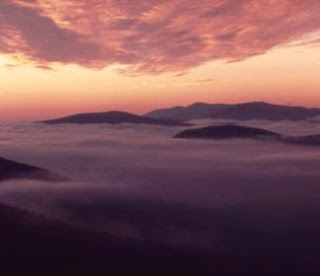 Great Smoky Mountains National Park officials have closed Mt. Le Conte Backcountry Shelter and trails to the popular Cliff Tops area due to bear activity until further notice. At this time, trails leading to the summit of Mt. Le Conte remain open, but hikers are strongly encouraged to hike in tight groups of three or more and carry bear spray. Park wildlife staff are currently stationed onsite to monitor the situation. On Sunday, May 17, one of the park's Wildlife Technicians encountered an aggressive bear near the trail to Cliff Tops that persistently approached and followed him for 0.3 mile. Loud noises and attempts from the trained ranger to scare the bear did not deter the bear’s repeated threatening advance. The bear followed him to the LeConte Lodge area before retreating into the forest. "Hiking in bear country requires caution at all times," said Deputy Superintendent Clay Jordan. 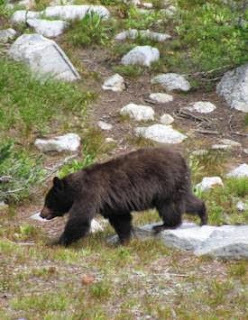 "We seldom fully close trail areas, but the unusually aggressive behavior exhibited by this bear warrants action by staff and special precautions by hikers." Park officials urge everyone to exercise caution while hiking, camping, and picnicking to ensure their personal safety and to protect bears. Black bears in the park are wild and unpredictable. Though rare, attacks on humans do occur, causing injuries or death. Hikers are always encouraged hike in groups, closely control children, and carry bear spray. Taking these precautions become especially important when a notably aggressive bear is identified by park officials in an area. Join park staff and partners on Saturday June 6, to celebrate National Trails Day with a volunteer opportunity to participate in an Appalachian Trail Work Day. The national park is once again working with the Friends of the Smokies, the Appalachian Trail Conservancy Regional Office, and the Smoky Mountain Hiking Club to host this large volunteer event. This work day event has taken place in the park for the last 19 years and highlights the importance of trails for recreation, education, and physical fitness as well as recognizes the important work performed by trail volunteers. The Appalachian Trail Work Day provides an opportunity for the public to help the Appalachian Trail Maintainers with important trail projects that might not otherwise get accomplished. The work done on the Appalachian Trail during National Trails Day provides hikers with a safe, enjoyable trail experience and protects the resources around the trail. Volunteers will assist with a variety of projects, from cleaning and replacing water bars, rehabilitating steps and turnpikes, to improving trail tread on sections of the Appalachian Trail between Icewater Springs Shelter and Silers Bald. The work day concludes with a picnic at Metcalf Bottoms Picnic Area for all registrants who will also receive a commemorative t-shirt. The registration fee for this event will support trail projects in the Smokies. Participants should wear sturdy shoes, dress appropriately and bring lots of water and a lunch for the day. For more information and to register for this work day, visit the Friends of the Smokies website or contact Phyllis Henry at 865-577-2604. 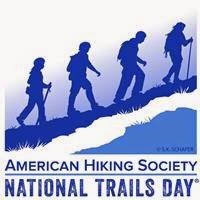 National Trails Day 2015 is also part of Great Outdoors Month, a month-long effort in June to get Americans outside. Great Outdoors Month is coordinated through a coalition of recreation and environmental organizations. Bolstered by proclamations issued by the President and all 50 state governors, Great Outdoors Month celebrates everything great about America's abundant outdoor recreation resources while highlighting Americans' passion for the outdoors and calling for a re-dedication to conservation efforts and volunteerism. A recent National Park Service (NPS) report shows that 10,099,276 visitors to Great Smoky Mountains National Park in 2014 spent $806,719,900 in communities near the park. That spending supported 12,759 jobs in the local area. "After a record setting year in 2014, we are pleased Great Smoky Mountains National Park continues to provide not only an incredible resource for visitors to explore and enjoy, but also serves as a driving economic force in the local community," said Superintendent Cassius Cash. "As the National Park Service moves into its second century, we hope visitors will continue to find their park here in the Smokies." By the way, in the video, Shannon mentions the "Rest Step". This is a technique any hiker can use on steep terrain. You can click here for more information on how to use it. Kick off the summer with Friends of the Smokies on a guided hike along Lakeshore Trail in Great Smoky Mountains National Park near Bryson City on May 12. 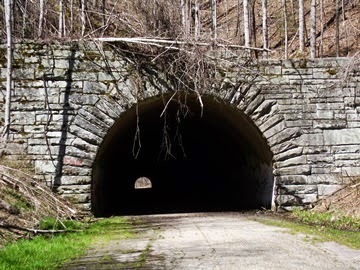 Hikers will experience walking through a 365 foot tunnel, along rushing creeks, and up to a cemetery, all while learning about the history of the area. 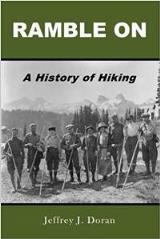 The hike is led by hiking guide and author Danny Bernstein. This hike along a section of the Lakeshore Trail is a moderately difficult 9.4 mile loop with a total elevation gain of 1,350 feet. The hike begins by walking through a tunnel, the length of a football field. The tunnel is a remnant of a halted road project which was to replace a state road that was flooded when the Tennessee Valley Authority built Fontana Dam during World War II. During the 1960’s, 6.2 miles of the replacement road was built. Construction ceased due to environmental concerns. Throughout the day hikers will learn about the history of this area. This trail today is part of 535 miles of trails in the Smokies open to horses. Hikers will learn how donations to Friends of the Smokies help fund the Smokies Equestrian Leave No Trace Training Program. The Smokies Master Educator’s Alliance comprised of local horsemen and park employees supports Leave No Trace awareness and training efforts in local communities surrounding the park. Friends of the Smokies hikes are offered on the second Tuesday of each month. Guided Classic Hikes are $35 and include a complimentary membership to Friends of the Smokies. Current Friends members receive a discount and hike for $10. Members who bring a friend hike for free. All registration donations benefit the Friends’ Smokies Trails Forever program. To register for a Classic Hike of the Smokies and to view a complete listing of hikes, please click here. For any questions please email AnnaLee@Friendsofthesmokies.org.